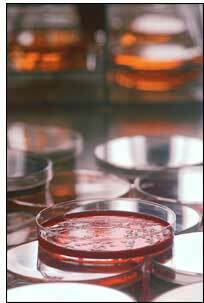 Microbiology Services offers a broad range of test methods from standard food and water safety to specialized tests for the pharmaceutical industry. Our food microbiology tests include screens for typical food borne pathogens as well as rarer disease or spoilage causing bacteria and fungi. We can serve as an adjunct laboratory to expand or assist your in-house capabilities. We specialize in assisting smaller businesses by providing microbiology technical assistance and consultation in terms that nonscientists can understand. On-site consultations are available to resolve specific problems. Our team of microbiologists are ready to assist you with your next research problem. Working together we can help you develop SOP's and test protocols. Our commitment to quality customer service means you can count on responsive personalized service. strive to report your results as quickly as possible.